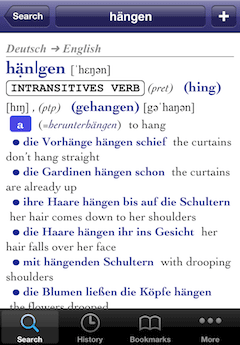 Collins German Dictionary – Complete & Unabridged | Cole Zhu Inc. 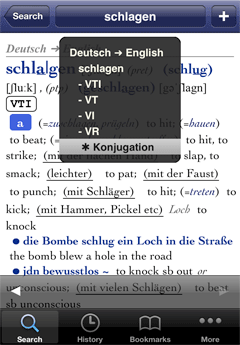 The largest German-English dictionary on the iOS platform from Europe's leading Bilingual Dictionary Publisher. The most advanced dictionary search engine on the iTunes App store, built from the ground up specifically for the iOS platform. Intuitive and innovative interface, designed specifically for both the iPhone and iPad platforms. Advanced word index can be used to jump directly to a sense or compound forms within a word definition. 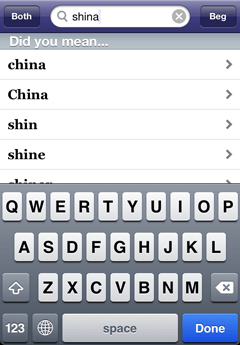 Favorites and History - allows users to keep track of interesting, and previously view words. Complete and Unbridged. This dictionary has an unmatched, exhaustive list of headwords with countless indexed example sentences, idioms with full coverage of regional words and meanings. Conjugation. 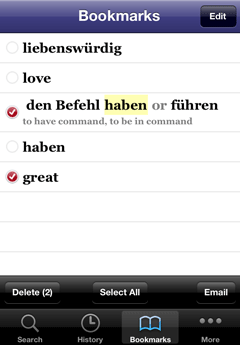 The included conjugator provides complete conjugation for every verb in both German and English. 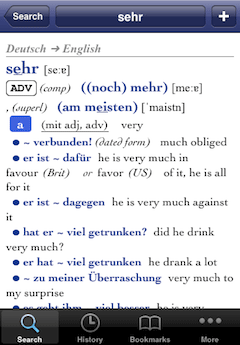 The complexity of the German verb makes a conjugator an essential tool for any serious student. This is why we have created 'Tap Conjugation'. 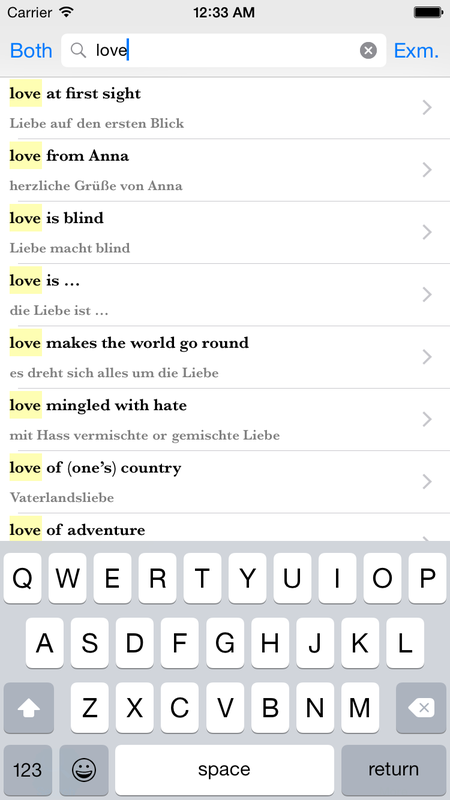 On any verb screen within the dictionary, an extra conjugation option will be available in the top title index menu, allowing you to find out how to conjugate in the forms you need with just two taps. In addition, all the conjugated forms of each verb have been indexed and can be found through a standard search or word jump. ᐩSearch. The built-in advanced search engine offers multiple different methods to search through the rich contents. 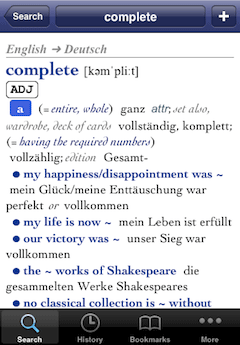 You can switch between searching for the beginnings or endings of words, or search through all of the thousands & thousands of phrases, idioms and examples in the contents with the switch of a button. This is extremely helpful to those who want to discover more information about how a particular word is used in either language. 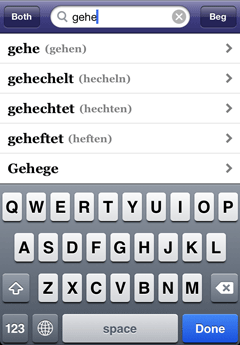 Additionally, the engine allows you filter all your search results in only English or German. Cross reference. Every word within the definition screen is hyper-linked to allow for speedy cross referencing. Tapping & selecting any word within a definition allows the user to perform a simple word jump or perform a jump to any matching examples containing the selected words. Spell checker. 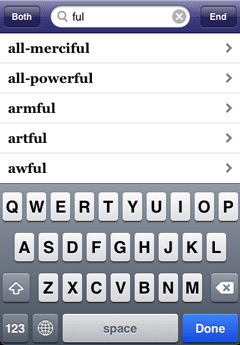 The integrated search spell checker will display a list of closely spelled words when no match can be found. Bookmark and History. All search history, including examples are saved automatically so you can browse with ease and revisit any time needed. Bookmarks & history can be edited and emailed at the users convenience.